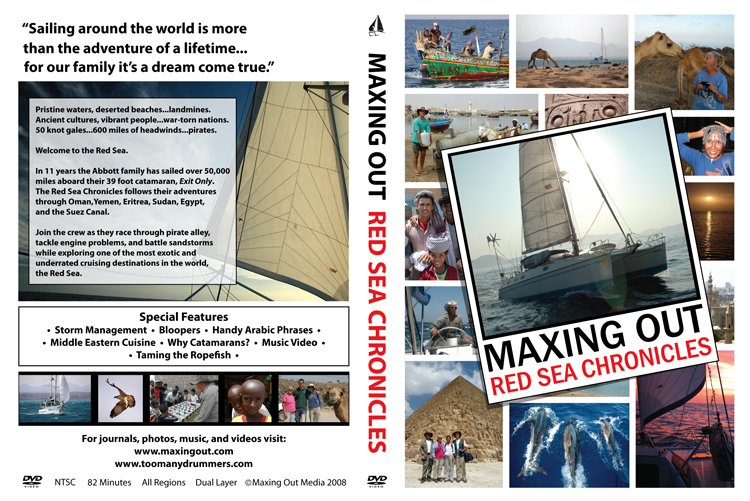 A cruise to Sudan would be incomplete without taking on a supply of fresh water. 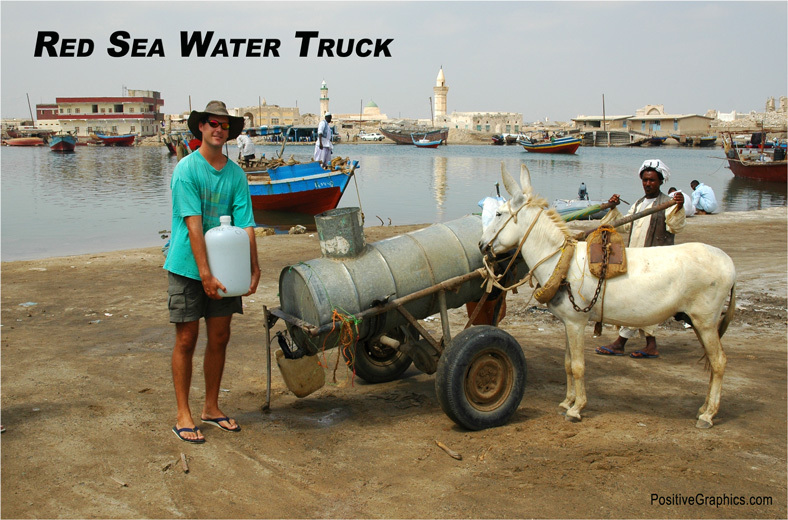 You don't have to carry the water a great distance, because a Sudanese "water truck" will bring it to you. You simply take a stroll through the souq and talk to the waterman who will arrange a time and place for delivery. You synchronize your watches, make a few friendly gestures, and the deal is done. At the appointed time, the donkey shows up pulling the water cart, and you fill your jugs with fresh water. In this photo, David holds jugs that we picked up several months earlier in Thailand, and we used those jugs to transport water to our boat. The water truck consists of two 55 gallon drums welded together with a spigot installed at the base. The cart's frame is constructed from welded pipe joined to a scavenged car axle. Add one white donkey to pull the contraption, and you are in the water business. Buying water in Suakin is a trust exercise, because not all of the wells have potable water. If you trust your waterman, then you pour the water into your tanks. Some cruisers put the water in their tanks and others left it in their jugs. We regarded the water as a backup supply mainly to be used for showers and laundry.